Eataly invites you to discover all the deliciousness of these delicate oil grissini breadsticks coated in the finest Piedmont dark chocolate. 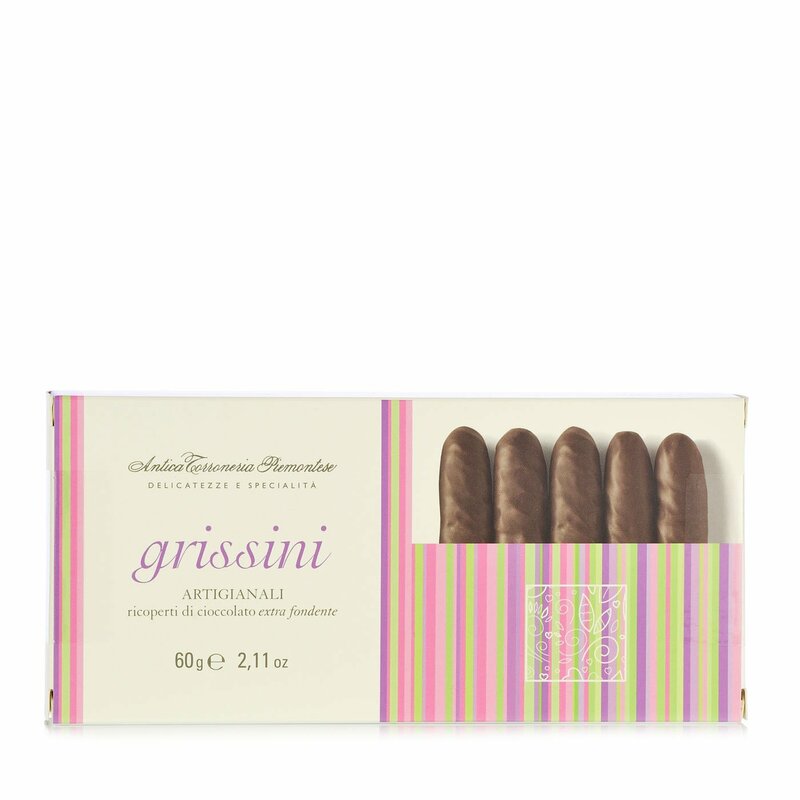 This product from Antica Torroneria Piemontese is enticing and innovative: the chocolate melts in the mouth to expose the crisp breadstick for a tasty sweet-savoury contrast. A concentration of taste in a temptingly light format! Ingredients Grissini bread stick ingredients: "0" soft wheat flour, olive oil (9%), salt, natural yeast, malted wheat flour. Ingredients chocolate 35%: sugar, cocoa paste, cocoa butter. Emulsifier: soya lecithin. Natural vanilla flavouring. Cocoa 45.5% min. May conta For more information on product labels, please contact our Customer Service department. The information on the labels of the products may vary for reasons beyond our control, therefore, there may be discrepancies between the information on the site and that on the products delivered. Please always check the information on the product before consumption or use.